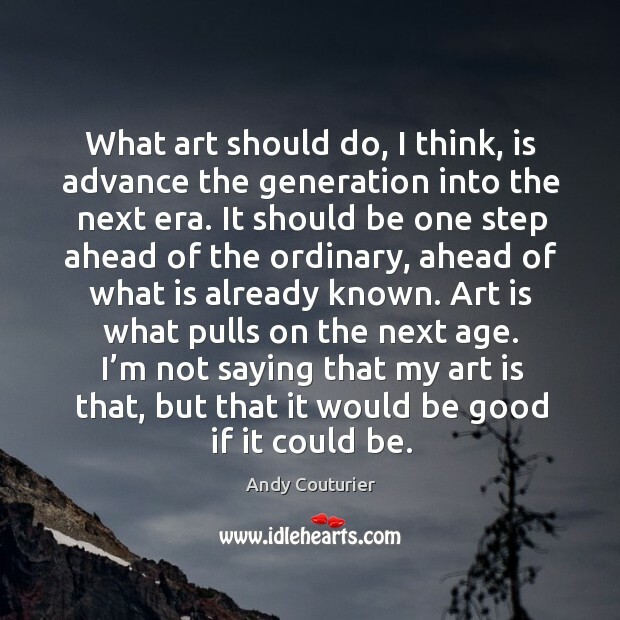 Enjoy the best inspirational, motivational, positive, funny and famous quotes by Andy Couturier. Use words and picture quotations to push forward and inspire you keep going in life! 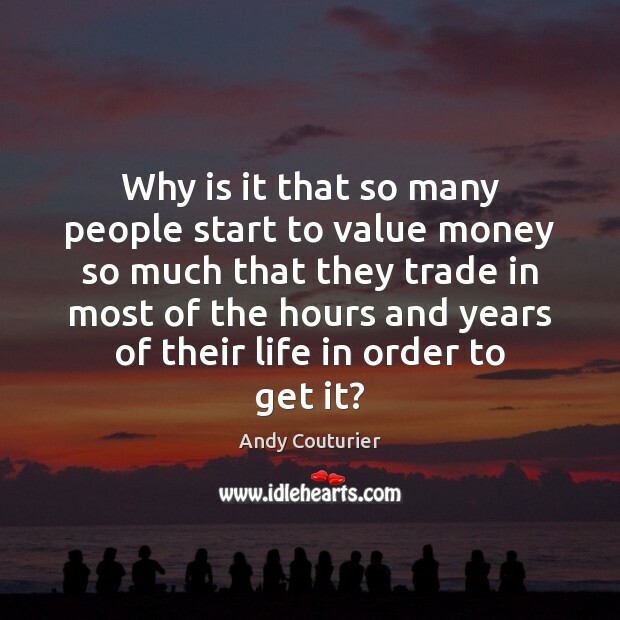 Why is it that so many people start to value money so much that they trade in most of the hours and years of their life in order to get it? 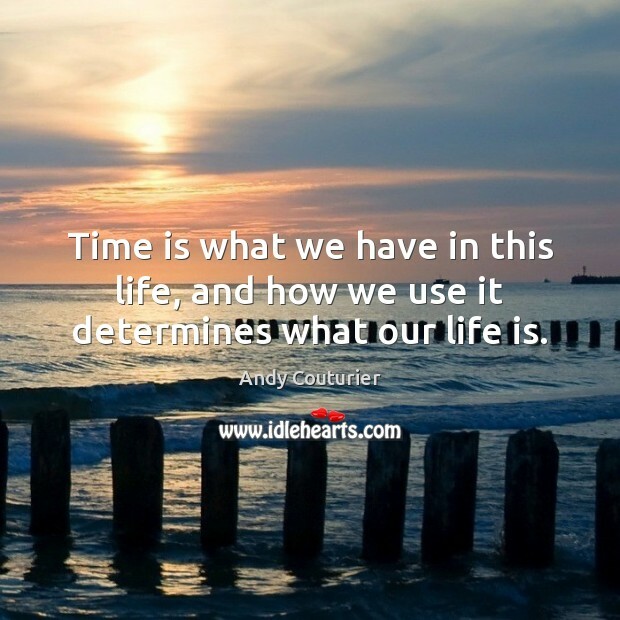 Time is what we have in this life, and how we use it determines what our life is. 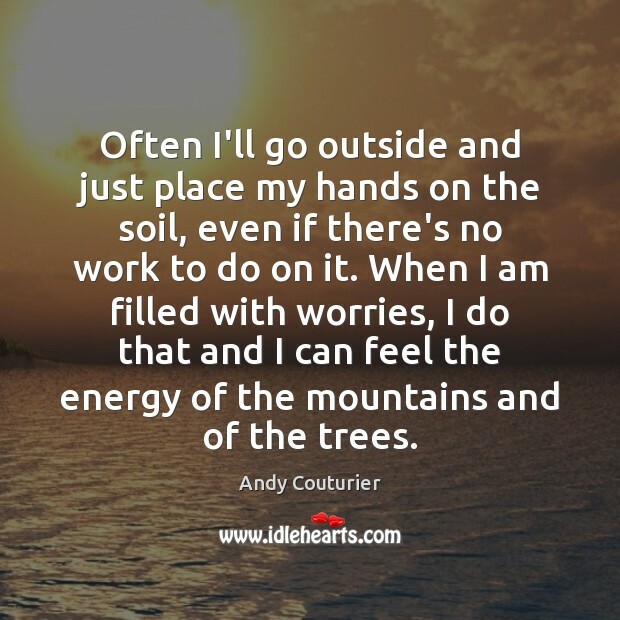 Often I'll go outside and just place my hands on the soil, even if there's no work to do on it. When I am filled with worries, I do that and I can feel the energy of the mountains and of the trees. I thought I should make a place to bring light down into this world. 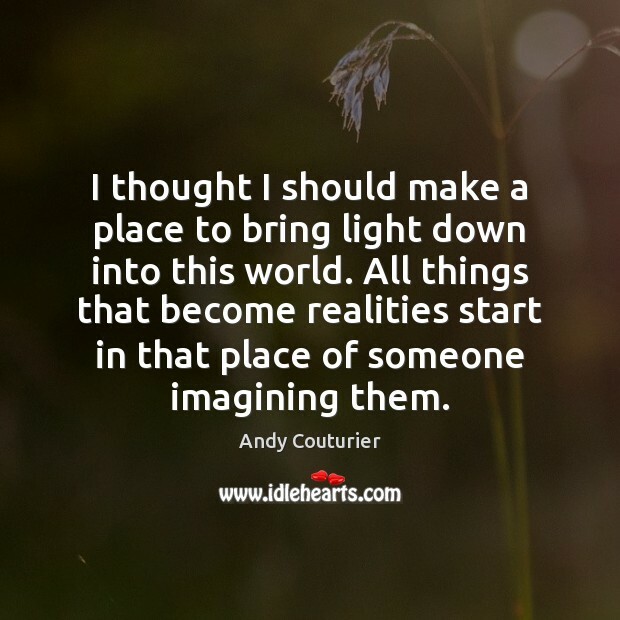 All things that become realities start in that place of someone imagining them. 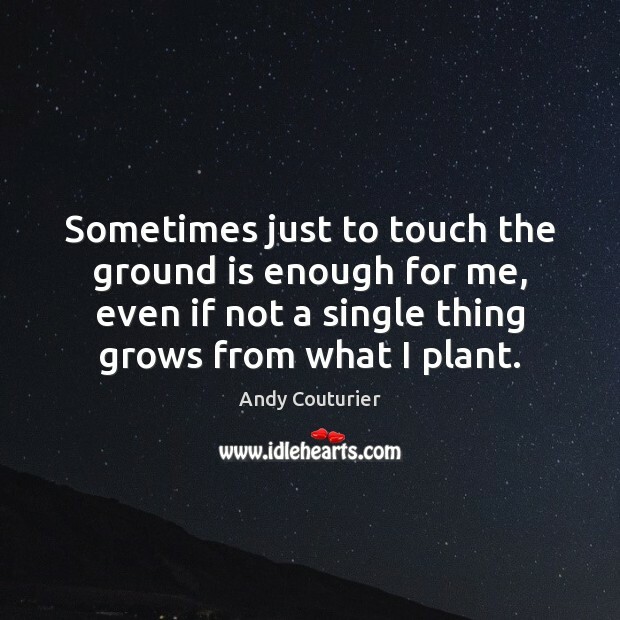 Sometimes just to touch the ground is enough for me, even if not a single thing grows from what I plant. 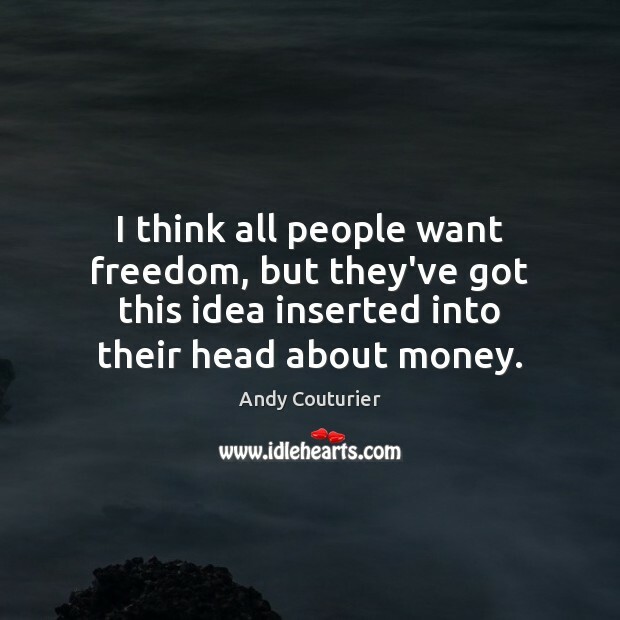 I think all people want freedom, but they've got this idea inserted into their head about money. What art should do, I think, is advance the generation into the next era. It should be one step ahead of the ordinary, ahead of what is already known. Art is what pulls on the next age. I’m not saying that my art is that, but that it would be good if it could be.